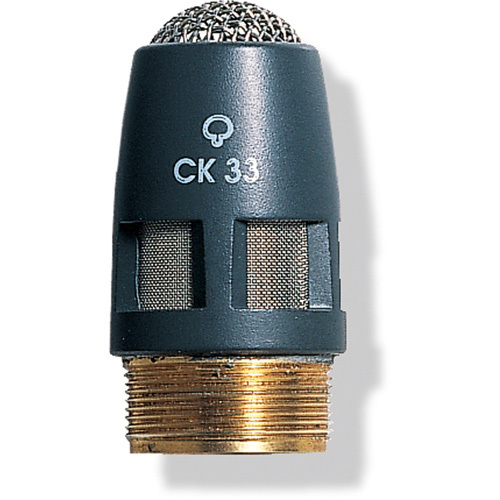 The AKG CK33 Modular Hypercardioid Microphone Capsule is a modular hypercardioid microphone capsule designed for use with the AKG GN series, HM 1000 and LM 3 gooseneck, hanging and lavalier microphone fixtures. The hypercardioid polar pattern minimizes noise and ambiance at the off-axis (sides) of the microphone. The result increases directivity and provides high gain-before-feedback response when using near speakers or monitors.